Twins meet for the first time...at a summer camp. 50. The Parent Trap - Following the delightful Pollyanna, Hayley Mills and writer-director David Swift teamed up again for The Parent Trap, Disney’s best live-action comedy. 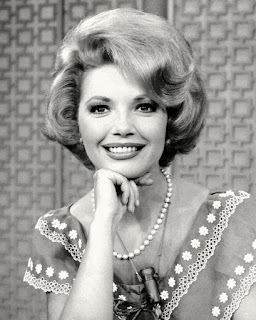 The gimmick of having Hayley play twins was achieved through the then-innovative use of traveling mattes and split screens. It works amazingly well—and Hayley is great—but the film’s enduring appeal has nothing to do with its clever special effects. The Parent Trap retains its popularity because of its ability to function as a smart, romantic comedy (for adults) and an enjoyable children’s film (in which the teen protagonists outwit their elders). The film’s breezy nature and charm mask two major flaws in its premise. First, how could any parents be so cruel as to separate twin sisters—and never even tell them about one another? Secondly, it’s obvious that the parents are still very much in love, so why did they split up in the first place? Since any answers would be unsatisfactory, writer-director Swift wisely chooses to ignore them altogether! 49. The Naked Jungle – It’s easy to remember this well-written character study for its lively climax involving billions of soldier ants (a local commissioner notes that the ant column is “twenty miles long and two wide, forty miles of agonizing death—you can't stop it”). However, when viewed in the context of the entire film, the ant attack constitutes a subplot which serves the purpose of bringing together two lonely people (Charlton Heston and Eleanor Parker) on a South American plantation. In that sense, The Naked Jungle is no more about ants than The Birds was about birds. In both films, an “attack by nature” is used to resolve a conflict between two characters. 48. The Last Man on Earth - This first adaptation of Richard Matheson’s terrifying 1954 novel I Am Legend—about a single human in a world inhabited by vampires—was made in Italy on a shoestring budget. Vincent Price is the only English-language actor in the cast. But, despite its financial limitations, it remains an impressive work filled with compelling images. The scenes of the vampires pounding nightly on Price’s door foreshadow similar images in the better-known Night of the Living Dead (1968). There are also some genuinely frightening sequences, such as the one where Price’s character falls asleep in a church, only to awake at sunset and struggle to reach the safety of his fortress home. For a movie that doesn’t even rate as a cult film in most reference books, it’s amazing how many of my movie buff friends remember it as fondly as I do. Cushing made a fine Holmes. 47. The Hound of the Baskervilles (1959) Throughout the late 1960s and early 1970s, I tried in vain in see the Basil Rathbone version of The Hound of the Baskervilles (1939). Every time it was listed in the newspaper, I’d tune in eagerly—only to see Hammer Films’ 1959 version starring Peter Cushing. I later learned that copyright issues prevented the Rathbone film from airing for many years. When it finally popped up on TV (on The CBS Late Movie, of all places), I was somewhat disappointed. Though Basil was entertaining as always, his Hound was surprisingly inferior to the 1959 version. Indeed, the Hammer Hound has improved with age, like a fine wine or, more appropriately, a glass of sherry (the vicar in the film has a fondness for it). Cushing makes a superb Holmes, all nervous energy as if his brain can barely contain his superior intellect. His interpretation is every bit as good as Basil Rathbone’s more acclaimed one. Andre Morrell‘s Watson is one of the screen’s best--intelligent, affable, and observant, very much like the character in Conan Doyle’s works. 46. Cat on a Hot Tin Roof – The most popular criticism of films adapted from stage plays is that the director fails to “open them up”—to transform them from theatrical productions to motion pictures. That always amuses me, for if a film is well-directed and performed, I don’t care if it all takes place in one room (which 12 Angry Men basically does and it’s a favorite, too). Richard Brooks’ adaptation of Tennessee Williams’ hit stage play is a perfect convergence of great acting and a director comfortable with enhancing, but not overpowering strong source material. Burl Ives recreates his masterful Broadway portrait as Big Daddy and Elizabeth Taylor gives what I consider to be her best performance. Williams purists quibble that some of the play’s content is watered down, but the result is still a first-rate film about (as Big Daddy would say) mendacity. 45. Bringing Up Baby/Holiday – Yes, I know I’m cheating again by listing two films in one slot. But, to my defense, these two films are essentially bookends with Cary Grant and Katherine Hepburn swapping roles in each. In Holiday, Cary Grant is the free spirit and Kate the more uptight of the two and in Bringing Up Baby, they switch roles with Cary as a conservative paleontologist and Kate as a wacky heiress. In both movies, the stars exhibit tremendous chemistry (surprisingly, I’m not nearly as fond of their pairing in Philadelphia Story). I’m not surprised that Bringing Up Baby is better-known than Holiday; the former film is loaded with inspired screwball situations. Still, Holiday is a very engaging film that’s funny and romantic but (in its own way) more serious and heartfelt. 44. Spartacus – Stanley Kubrick’s most atypical film is my favorite among his works. He masterfully interweaves strong character relationships with spectacle to create an action film that resonates on a deep emotional level. The justly famous “I am Spartacus” scene as well as the closing one between Jean Simmons and Kirk Douglas still carry a tremendous impact after repeated viewings. Interestingly, Kubrick said in a 1968 interview that Spartacus was the only one of his films he didn’t like. Certainly, he had less control over it, but I believe that working within the confines of a “Hollywood production” brought out the best in Kubrick and the result is an epic for the ages. Mifune as a helpful samurai. 43. Sanjuro - This was my first foreign film, my first samurai film, and my first Kurosawa film. When I watched in it on PBS in the early 1970s, I’m not sure if I even knew who Akira Kurosawa was (but suspect I soon learned). 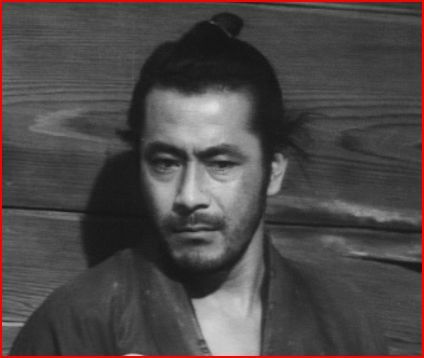 I found Sanjuro charming, intriguing, and mesmerizing. Each time I watch it again, I’m reminded of that unique blend of qualities. Although I admire the more critically-acclaimed Kurosawa films such as The Seven Samurai and The Hidden Fortress, none of them has toppled Sanjuro as my favorite. Kurosawa’s direction is seamless, flowing effortlessly from kinetic (as in the swordfights) to poetic (camellia blossoms flowing down a creek). The final showdown between Toshiro Mifune’s character and another samurai (whom he respects) is stunning in its efficiency and shock value. Stewart in The Far Country. 42. The Far Country - James Stewart and director Anthony Mann made five classic Westerns together between 1950 and 1955, starting with Winchester ’73. This is my fave of the bunch, although they’re all excellent. While Stewart plays a different character in each film, his protagonists are social misfits that share traits such as bitterness, shady pasts, and, when necessary, ruthlessness. As cowpoke Jeff Webster in The Far Country, his mottos are: “Nobody ever did anything for nothing” and “I take care of me.” The plot is secondary to Mann’s themes of civilization overtaking the frontier and the importance of community. 41. The Birds - This one functions on two levels for me. It is, of course, a masterfully directed thriller about unexplained bird attacks in a small California seaside community (I love the playground and gas station sequences). But it’s also a well-acted 1960s relationship drama about three women and their interactions with the bland, but likable, Mitch Brenner (Rod Taylor). Mitch’s mother (wonderfully played by Jessica Tandy) fears losing her son to another woman—not because of jealousy, but because she can’t stand the thought of being abandoned. Young socialite Melanie Daniels (Hedren) views Mitch as a stable love interest, something she needs as she strives to live a more meaningful life. And Annie Hayworth (Pleshette) is the spinster schoolteacher, willing to waste her life to be near Mitch after failing to pry him from his mother. These relationships are what the film is about—the birds are merely catalysts. That’s why the ending works for me; when the relationships are resolved, the bird attacks end. 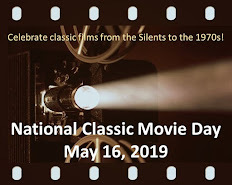 Next month, I'll count another ten, including a Val Lewton classic, a Michael Crichton sci fi thriller, and two films each starring Sidney Poitier and William Holden. My favorite batch of ten so far! THE LAST MAN ON EARTH is an underrated film. Many movies attempt the "last man" plot (and not just the various I AM LEGEND adaptations), but few achieve a similar atmosphere as the Vincent Price film, where you can feel his loneliness and despair. Having seen a number of Hammer films, Peter Cushing has become one of my favorite actors, and THE HOUND OF THE BASKERVILLES is one of his best performances. His natural delivery and charisma is fascinating to watch and, like the best actors, it's easy to forget that you're watching Peter Cushing, as he creates a character so completely. SANJURO is a most excellent movie and is, as you said, pure visual poetry. My favorite of Kurosawa's work is YOJIMBO, a film which also features the titular character of SANJURO. I also greatly enjoy THE NAKED JUNGLE (thank you for the picture of Eleanor Parker! ), SPARTACUS and THE BIRDS. As always, I'm looking forward to next month's selections! My favorite two films from your list are: The Naked Jungle, with a very handsome 23 year old Charlton Heston and The Birds, which I never could understand why Melanie went up to the attic. Both films are romances with a twist. I love every one of these film, except I have not seen Sanjuro -- but after our kung fu month, I came to really like Mifune and Kurosawa, so I know I'd like it. Naked Jungle -- just the description of the ants and the scene of the mountain made me feel like something was crawling up my back. Good romance. Last Man on Earth -- excellent, definitely best version of that story. Hound with Peter Cushing -- I had only seen the Basil version, and came to Hammer's later. Took me a couple of viewings to be open-minded, then realized how good it is! Love these lists, of course. I'm looking forward to seeing which Val Lewton film you are including next time -- love that man! BRINGING UP BABY is classic Hawks/Screwball, a film that would probably rank in my own top 100, if I ever complete one. I am also a fan of SPARTACUS, though I would not rank it as my favorite Kubrick (would have to pick between, THE KILLING, PATHS OF GLORY and DR. STRANGELOVE). Like SPATACUS, THE BIRDS would not rank among my top Hitchcock's but that is only because his filmography is so filled with classic works (I will not even bother to mention) that this particular film slips a bit but only in comparison to his many other great works that I love. I think CAT ON A HOT TIN ROOF is the best adaptation of a Williams play despite the toning down of its more controversial themes. 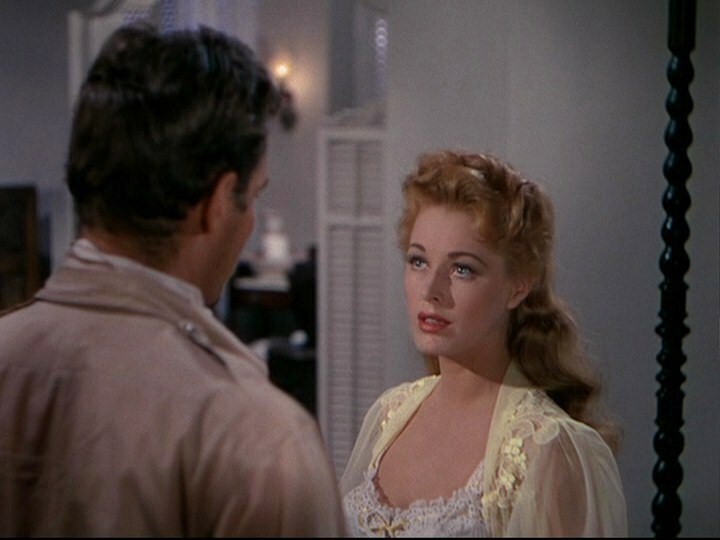 I enjoyed THE NAKED JUNGLE as I do anything with Eleanor Parker. The others on your list I have not seen but I look forward to, especially SANJURO. Interesting list as usual! Yep, these are more perfect favourite movies. I saw "Sanjuro" for the first time a couple of months ago. I absolutely adore it. Nobody (NOBODY!) is cooler than Mifune. I don't think there is a more perfect blend of action, humour and heart. "Holiday" rotates as my New Year's Eve movie with "After the Thin Man" and "Holiday Inn". My hubby never buys a cup of coffee without falling into a Walter Brennan impersonation from "The Far Country". I truly enjoy reading your outstanding mini essays on favorite films, Rick. I also enjoy reading everyone else's comments on the films. Peter Cushing is superior in his portrayal of Holmes and I was glad you mentioned the excellent work of Andre Morrell as his Watson, too, which is much closer to Conan Doyle's character. In "Holiday," I am so fond of Edward Everett Horton and Jean Dixon as Cary's charismatic and loyal friends, the Potters. Cary and Katharine sparkle together. Your point about the birds and the ants being secondary to the mending of relationships is spot on. I also enjoyed your observation about the writers choosing to avoid discussion about obvious problems in "The Parent Trap." It is a film where Hayley shines. It's interesting because "The Last Man on Earth," "Sanjuro," and "Spartacus" all rely on a very strong male lead and Vincent Price, Toshiro Mifune, and Kirk Douglas brilliantly deliver. It's interesting that when I hear a single bell ring I think of "It's a Wonderful Life" and "The Far Country" and both feature James Stewart. And on that note, I thank you for another wonderful list as we close in on the favorite of the favorites. As always, I love reading what film buffs have to say about these movies. Toto, the bell on the saddle and its meaning is one of my favorite parts of THE FAR COUNTRY. Caftan Woman, I would LOVE to hear your husband's Walter Brennan's imitation from said film. Sark, I agree wholeheartedly that LAST MAN ON EARTH captures the despair and loneliness of its concept as few--if any--other films. I don't understand why its reputation remains limited to a handful of enthusiastic fans. twentyfourframes, I often forget just how good CAT ON A HOT TIN ROOF is, but then I watch it again and think: "Wow, that's truly an excellent film." Becky and Dawn, NAKED JUNGLE is another underrated film--there's a lot of subtext in it that people don't notice at first. Like the birds, the ants distract from the main themes, but they are the catalysts that lead to the resolutions. ameyer13, it's always a pleasure to hear from another PARENT TRAP fan. It's such a well-done film and the supporting cast has some delightful scenes. SO much fun to read these posts. 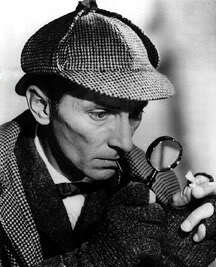 You reminded me that I needed to see (yet again) the Peter Cushing HOUND OF THE BASKERVILLES sooner rather than later. Accordingly I moved it up on my Netflix queque. I recently saw a good, fast-moving version of the story done, I think, for British television a while back. It starred Richard Roxburgh as Holmes and Ian Hart as Watson. This version, more than any other, actually hints at a closer relationship between the two men. Interesting. I never did like the Jeremy Brett BASKERVILLE. Nothing can save that version from the bland ineptitude of Kristofer Tabori as the heir to the Baskerville fortune. What a dullard. He ruins the whole thing for me. At any rate, I never liked the Basil Rathbone version much either. But the Peter Cushing one I remember with a great deal of affection. I love BRINGING UP BABY. It's just one of those films you never get tired of watching. I'm fond of THE BIRDS. Tippi - not so much. But if the film is on, I generally find myself watching it.